Servicing Primarily Northumberland, Durham and the GTA, John Greenlee has been providing mortgage solutions to clients for over 5 years. 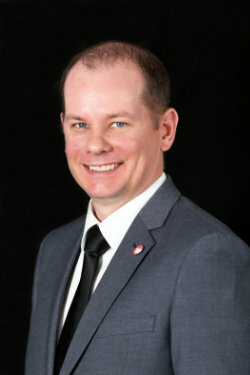 During that time John has achieved and maintained his AMP as an Accredited Mortgage Professional, earned a reputation of good business practices with Canada's Top Lenders and has personally underwritten approximately 1,000 residential mortgages for borrowers with AAA Credit, Poor Credit and No Credit. John also provides excellent solutions for Commercial Properties and Equipment Leasing. As an experienced Mortgage Agent, John will work to ensure your mortgage needs are not only met for your unique situation however; also understood by you, the borrower. While a bank will offer the products from their particular institution, licensed mortgage professionals like John send billions of dollars in mortgage business each year to Canada's largest banks, credit unions, trust companies, and financial institutions; offering John's clients more choice, and access to an array of mortgage products! As a result, clients benefit from the trust, confidence, and security of knowing they are getting the best mortgage for their needs. Whether you're purchasing a home for the first time, buying your second home or beyond, taking out equity from your home for investment, renovations or pleasure, or maybe your current mortgage is simply up for renewal, it's important that you are making an educated buying decision with professional unbiased advice. For unparalleled expert advice, contact John today for your free mortgage consultation.